Tomorrow marks the first time in history that El Barrio’s weekly Pub Quiz (Wednesdays) falls on New Year’s Eve. There will be lots of Q10 food specials, drink discounts at the party that follows the 7 PM Pub Quiz. Wednesdays is also Pizza Night at El Barrio. 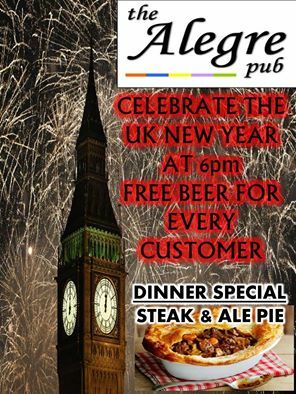 Celebrate New Year’s Eve UK time (6 PM in Guatemala) at Alegre Pub in San Pedro la Laguna, and get a free beer after Big Ben rings in 2015. The dinner special is Steak and Ale Pie, but order in advance to be sure you get one. 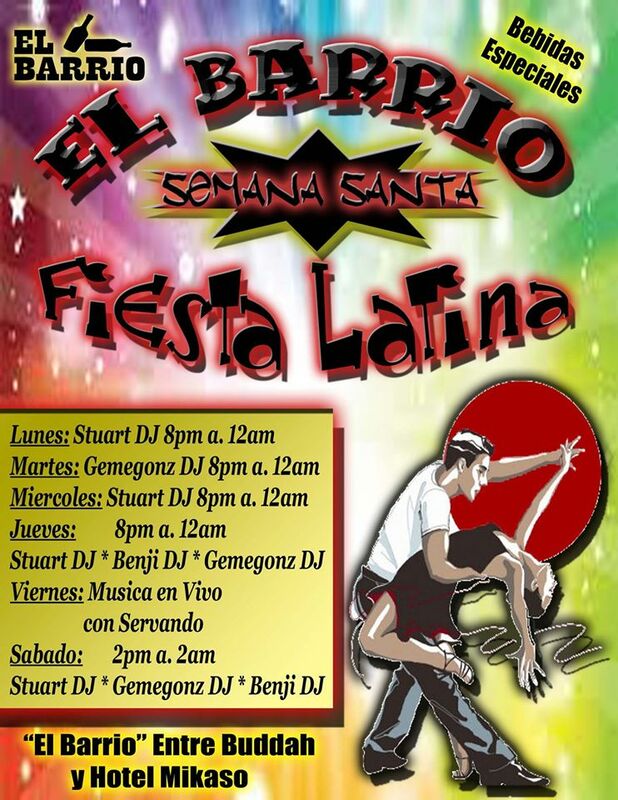 Other big New Year’s Eve parties in San Pedro will be at Hostel Fe, El Barrio Bar, Hotel Mikaso and Hostel Zoola. Best idea is to hit them all and stay for midnight Guatemala time at your favorite. The top Thanksgiving dinner in San Pedro is at Cafe la Puerta on November 27 at 1 PM. Full traditional menu for Q150, reservations recommended. Call 5284-2406 or drop by the restaurant on 7th Avenue. In San Marcos, El Dragon Hotel will serve Thanksgiving dinner from 5-9 PM for Q50.